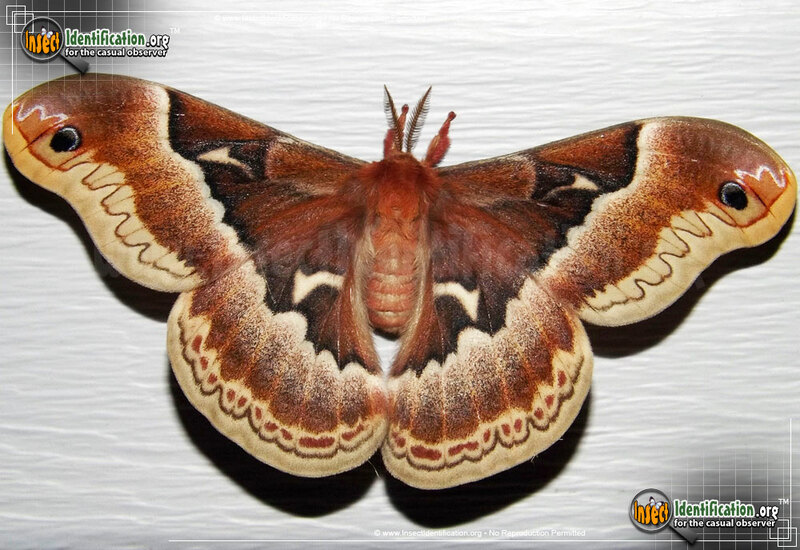 Detailing the physical features, habits, territorial reach and other identifying qualities of the Promethea Moth. 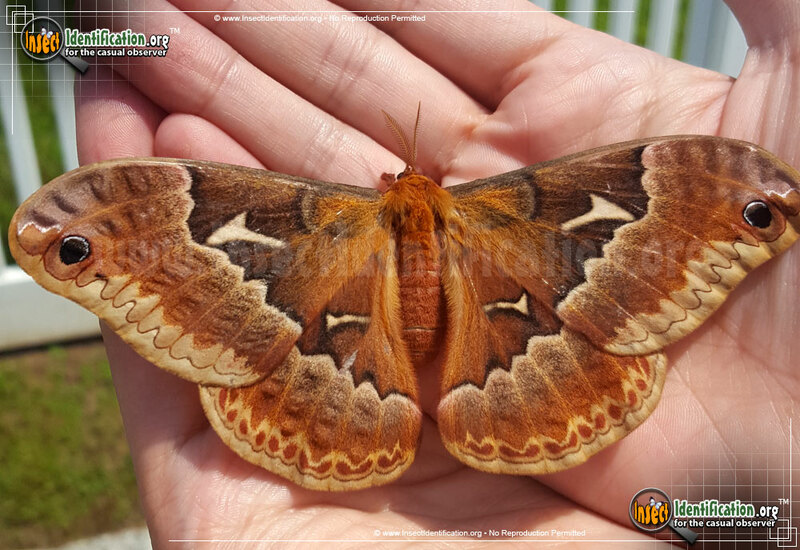 With a wingspan that covers an entire hand, the gentle, gigantic Promethea Moth is a stunning example of Giant Silk Moths. 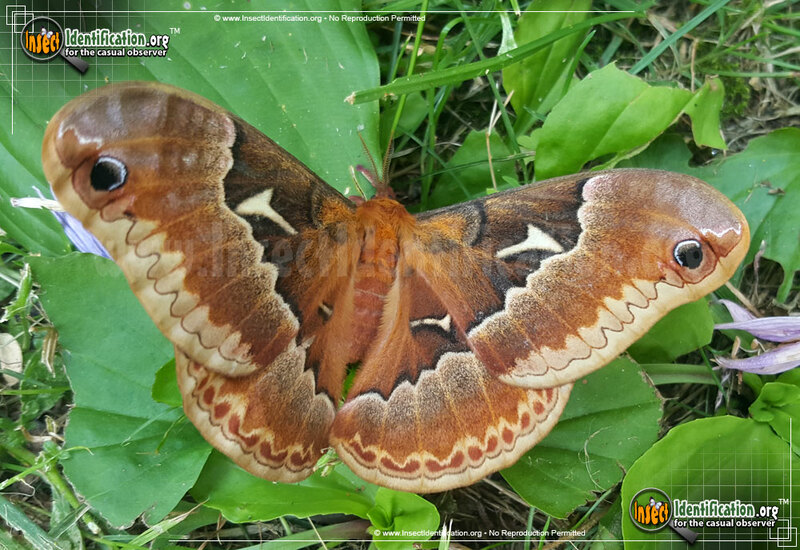 The generous size of the Promethea Moth is the first feature that attracts attention, but the details on its broad wings encourage more interest. It has bold eyespots at the edge of the forewings. Dark brown color on the inner wings near the center of the moth is separated from light brown edges by a thin white line. Females are brown and lighter than males are, who are almost black in color. 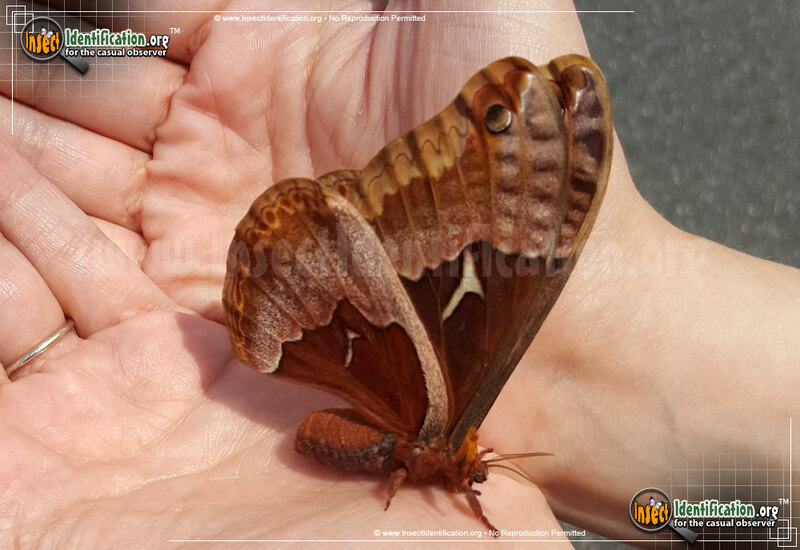 This species is very similar in appearance to its relative, the Tulip-Tree Silkmoth. In fact, the resemblance is so close, pictures alone may not be reliable for an accurate identification. The caterpillar of the Promethea Moth has a pale green fleshy body with two nubby red protrusions rimmed in black at the head, and a single yellow one at the rear. They feed on a variety of different types of plants, but generally return to the same kind year after year in smaller populations.